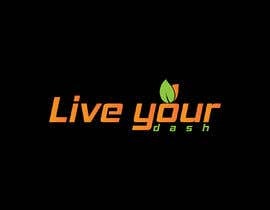 Painting/design that captures the meaning of "Live your dash"
FYI - This isn't a logo for a company or anything. This is something I'd like to hang in my home, so please look at it from the perspective of unique art. 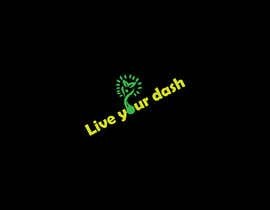 I came across a poem called &quot;Live your dash&quot; where the meaning really spoke to me. 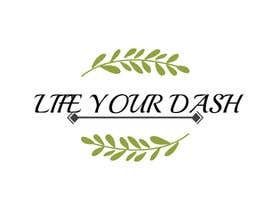 It&#039;s less so that I cared for the poem and more so the actual phrase &quot;Live your dash&quot;. 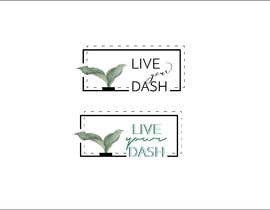 To summarize, the &quot;dash&quot; is representative of the dash on your tombstone that sits between the year you&#039;re born and the year you die, and the phrase &quot;live your dash&quot; means get the most out of life. 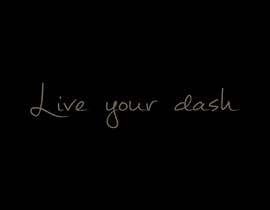 I really like the fact that a simple phrase can say so much and how a mundane dash can represent so much. 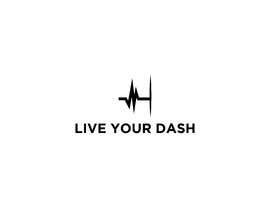 I&#039;ve looked to see if there is artwork that symbolizes this phrase but haven&#039;t been able to find any, so now I&#039;m seeking help to come up with a creative painting/photo/design that embodies that slogan. The finished product can either have the actual phrase woven into it somehow or not... but I&#039;m looking for a creative way to showcase it so that I can eventually get the design framed. For inspiration, here are a few things I really like about the phrase. 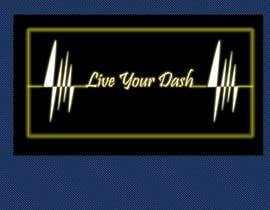 - While a dash is so simple and represents the span of everyone&#039;s life, every person&#039;s life is unique and is never simple. 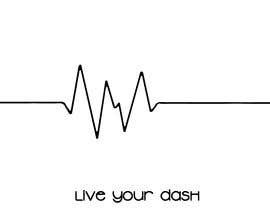 - A dash is a straight line, but people&#039;s live&#039;s are filled with ups and downs...highs and lows. 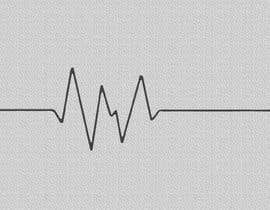 Almost more like a heart rate monitor. 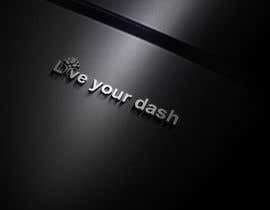 - A dash is a line, and by definition, a line has an infinite amount of points. 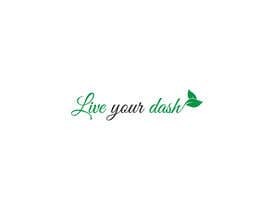 I think of the points on the dash being all the moments one experiences is life. This is a very important project to me and I want to make sure the final product is something I love. 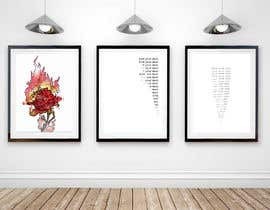 I&#039;m willing to wait for the right concept that speaks to me but I&#039;m not a creative person and need help finding that design. 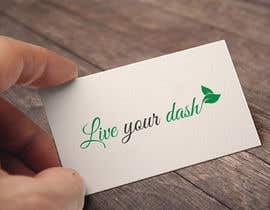 I&#039;m first looking for thoughts/ideas on the best way to capture this phrase and it&#039;s meaning. Dear contest holder, I would like to make an illustration for you contest, but I noticed that you rated some logos with 3 stars. After all are you looking for some simple icons/ logos? 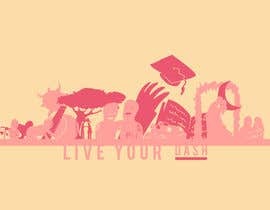 Hi there, Please check #33 design and comment below for Complete design. Hi there, I understood. 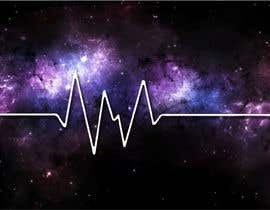 Really It's been some time to understand that what you seeking. give me two day's. 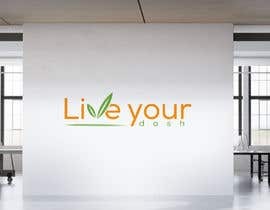 This isn't a logo for a company or anything. This is something I'd like to hang in my home, so please look at it from the perspective of unique art. may I ask where or how you planing to use that illustrtion/design? Of course, I'd like to get it framed and hung in my house.